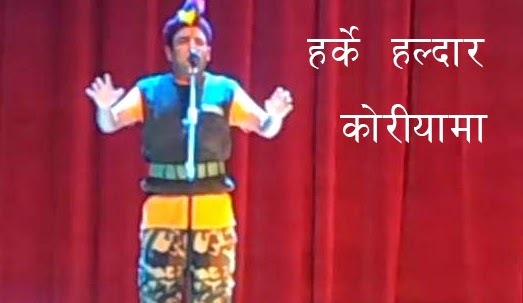 Rajesh Payal Rai Comedy Video. Rajesh Payal Rai (born 1975) is a celebrity singer, actor of Nepal. He was born in a British soldier family At the age of 13, he was approved in the voice test as a singer by Radio Nepal. In 1992, he recorded a Nepali song Failiyo Maya Dubo Sari which became instant popular among Nepali audiences which led him to get fame within short period of time. It's a Duplicate creation by Shishir. Concept n Edited by- Shishir For More- Watch Tv Filmy Programme- Duplicate Time- Sunday 7-30 pm. In this video Nana patekar is mad with his friends for playing music loud and not doing the job which they need to do. Harke Haldar stage performance in Korea. 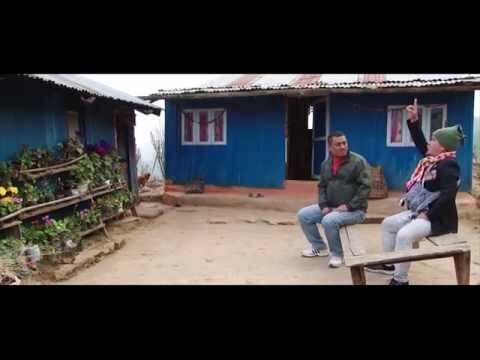 Watch Watch Nepali comedy serial Harke Haldar episode online at CanadaNepal.net.Harke Haldar is one of the famous comedy program in Nepal. Video: Former Prime Minister and CPN-UML senior leader Madhav Kumar Nepal was admitted to the Intensive Care Unit (ICU) of Bir Hospital yesterday. Seniors leader from different parte visited Bir hospital to see leader Nepal today. Watch New Episode of Harke Haldar. It is a non-political situational comedy with rustic characters, and environment typical of any Nepali village. The base of the drama would be stories based in the village and is expected to be a getaway from mushrooming serials, which use bodily gestures as act of comedy. Comedy Video : Shahrukh Khan not happy with Nepal's loadshedding Funny Program Duplicate : hindi and Nepali video and voice mixed program. This is a comedy program to entertainment you. Duplicate creation by Shishir Bhandari Concept n Edited by- Shishir Bhandari Programme- Duplicate Time- Sunday 7-30 pm Reapeat- Monday at 8-30 am It's all for entertainment.. Funny Program Duplicate : hindi and Nepali video and voice mixed program. This is a comedy program to entertainment you. Duplicate creation by Shishir Bhandari Concept n Edited by- Shishir Bhandari Programme- Duplicate Time- Sunday 7-30 pm Reapeat- Monday at 8-30 am It's all for entertainment.. Husband and wife almost turned into fight.Satirical comedy program hosted by Sandip Chettri who makes you laugh with his hilarious reports on a week’s noticeable event on any topics like politics, sports, media or corporate culture. 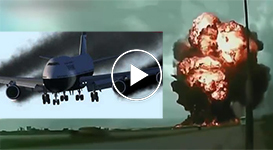 Humorous breaking news, weather report and skit are the highlights of this show. Satirical comedy program hosted by Sandip Chettri who makes you laugh with his hilarious reports on a week’s noticeable event on any topics like politics, sports, media or corporate culture. Humorous breaking news, weather report and skit are the highlights of this show. Don’t miss to watch it if you are looking for some fun time every Wednesday, 9.30PM. Two Lovers talking on the Phone at night. Satirical comedy program hosted by Sandip Chettri who makes you laugh with his hilarious reports on a week’s noticeable event on any topics like politics, sports, media or corporate culture. Humorous breaking news, weather report and skit are the highlights of this show. Stand up comedy by Mundre from Jire Khursani and Khadkaji From Meribassai. Jitu Nepal started his career from the tele-serial Jire Khursani. Jitu Nepal is also known as Mundre. This serial is very popular among Nepalese. Dhurmus is a Nepali comedy actor, script writer, and director. He is one of the main actor in Meri Bassai. Tomorrow : Meri Bassai is one of the popular TV comedy program in Nepal, which is aired by Nepal National Television. This is “ “ Episode. Meri Bassai is a Nepali sitcom television series that began in 2006. Sitaram Kattel and Kedar Ghimire are the scriptwriter, co-director and the major actors. Hari Bansha Acharya - Khokro Sarangi. Hari Bansha Acharya is a Nepalese actor and a comedian. He is one of the most successful and respected comedians in the Nepalese entertainment industry. Hari Bansha Acharya is well known for his method actin. For everlasting peace, prosperity is a prerequisite. We sow the seeds of an abundant, prosperous wealth of knowledge, thereby generating mass awareness for issues that are significant to the environment and that ensure democratic and human rights for all. Having a clear concept of prosperity and peace, Himalaya Television is determined to campaign for the same in the most effective way possible. Committed to the precepts of human rights and norms of democracy, we are a holistic experience. Shivahari Paudel's Lok Geet Video Song. Shivahari Paudel is one of the popular Comedian from Nepal. Shivahari Paudel is one of the main actors in Jire Khursani. It's a live musical program. In this program we play Nepali folk music videos and inform about Nepali culture, customs, tradition and Nepali folk music industry.This program entertains the audiences with variety of topics each day.